I Am A Star will step up to Group One races after her successful defence of the Stocks Stakes. 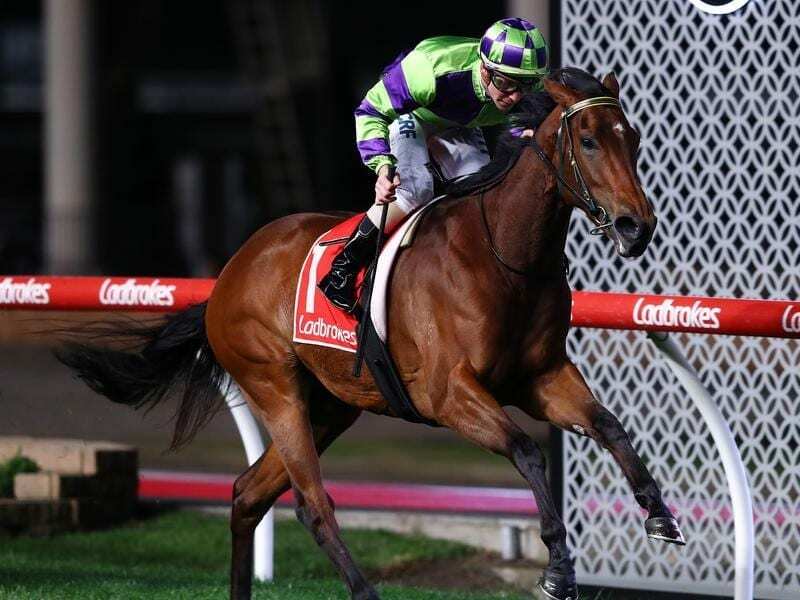 I Am A Star has gone back-to-back in the Group Two Stocks Stakes at Moonee Valley and will now chase wins at a higher level for the remainder of the spring. The Shane Nichols-trained mare was sent out the $1.65 favourite for Friday night’s 1600m-race for mares and despite a tardy start gave her backers little cause for concern. “It’s wonderful to get it over and done with,” he said. “It’s been a long drawn out day with the night races and when they’re short-priced favourites like that you want the win. “Last year she went to the Toorak off a win here and did feel it,” Nichols said.